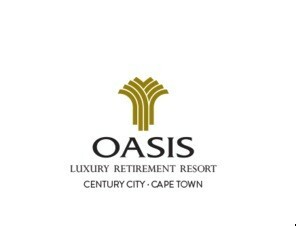 Sign-up and receive Property Email Alerts of Residential Estates in Oasis Luxury Retirement Resort, Century City. Conveniently situated within the secure perimeter of Century City, the Oasis Luxury Retirement Resort is the definition of central convenience. A short walk away from the superb entertainment of Canal Walk Shopping Mall; residents are treated to an array of entertainment, restaurants and an all-round shopping experience. Located in acres of beautifully landscaped gardens in the heart of Century City, Oasis consists of three residential high-rise towers (with a fourth now under construction), an opulent clubhouse and gym, modern care centre, and a 200-seater cinema. For those seeking a more tranquil retirement, the lush indigenous gardens are stocked with an assortment of ponds, fountains and streams. Those looking to explore can do so at the adjacent Intaka Island Nature Reserve, without ever having to drive. With all the benefits of a country estate, it still affords residents easy access to Cape Town International Airport, the V & A Waterfront and the Cape Town CBD. Not to mention surrounding beaches and the rolling winelands of the region. Oasis itself is blessed with exquisite finishes with the finest materials in superbly designed apartments. The vibrant community of staff members are able to provide world-class dining and entertainment facilities; all of whom are highly trained and caring. Residents have taken it upon themselves to form a rich variety of clubs and associations, many of which embark on outings and outdoor activities. Whatever your interests, Oasis Luxury Retirement Resort offers you a wide variety of social, health and sporting facilities that caters for all tastes.